1 - What is Tier III of the IMO NOx regulations? What is Tier III of the IMO NOx regulations? 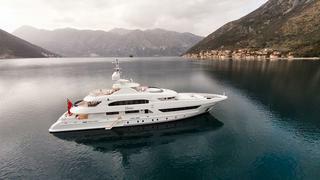 If Kismet was being launched after 2016, she would need to comply with the regulations. Put forward by the UN’s International Maritime Organisation, Tier III of the IMO NOx regulations aims to reduce nitrogen oxide emissions (NOx) by approximately 70 per cent compared with the current Tier II standards. The regulations apply to vessels in North America, the US Caribbean, the Baltic Sea, the North Sea, and all future NOx Emission Control Areas: any boat that might pass through must comply, which basically means all must adopt these regulations. Put forward by the UN’s International Maritime Organisation, Tier III of the IMO NOx regulations aims to reduce nitrogen oxide emissions (NOx) by approximately 70 per cent compared with the current Tier II standards. The regulations apply to vessels in North America, the US Caribbean, the Baltic Sea, the North Sea, and all future NOx Emission Control Areas: any boat that might pass through must comply, which basically means all must adopt these regulations. 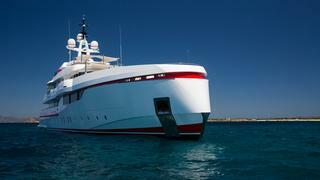 2 - What does this mean for superyachts? What does this mean for superyachts? Forever One is over 500GT but avoids the new regulations because she was launched before they come into effect. On January 1 2016 IMO Tier III comes into force and it will impact every large yacht with a gross tonnage over 500 and diesel engines more than 130kW. “If the keel is laid after January 2016, the yacht has to comply to Tier III,” explains James Roy, yacht design director at naval architecture firm BMT Nigel Gee. 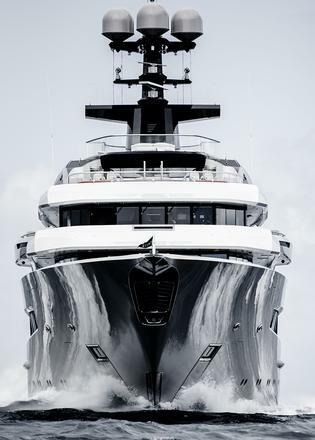 “What this realistically means is that any big boat being designed right now will be subject to it.” By 2021, yachts under 500GT but over 24m LOA will be required to meet the Tier III regulations as well. On January 1 2016 IMO Tier III comes into force and it will impact every large yacht with a gross tonnage over 500 and diesel engines more than 130kW. By 2021, yachts under 500GT but over 24m LOA will be required to meet the Tier III regulations as well. 3 - How do you cut emissions? How do you cut emissions? Eco-friendly Grace E features diesel-electric power, but what might be needed for yachts of the future to comply with the new regulations? While an obvious benefit to the environment, these standards are a challenge for yacht builders, designers and engine manufacturers. The technology being used to reduce NOx emissions is called a Selective Catalytic Reduction (SCR) unit. It uses a diesel exhaust fluid called urea that that acts as a reductant – when it reacts with NOx it converts pollutants into natural elements such as nitrogen, water and minuscule amounts of CO2. The SCR units are big and heavy, taking up valuable engine room space and weight. There also needs to be a tank for the urea, a material that’s not widely available in the world’s ports. Pieter van der Linden, mechanical engineering department manager of Heesen Yachts, says it’s best to think of the new equipment as a necessity rather than a burden. “It’s part of a total yacht now, same as the engine,” he says. The bad news is there is no single solution for reducing NOx emissions in yachts. The current cure involves a number of parties – engine manufacturer, exhaust company, exhaust after-treatment firm – but most builders will want to deal with as few people as possible. The good news is this lack of uniformity paves the way for creativity, because after-treatment units can be made in different shapes and customised to a point. Volvo is adapting its decade of on-road SCR experience to the marine environment, with an added focus on fuel efficiency, which will in turn lead to smaller fuel tanks and overall weight savings. While an obvious benefit to the environment, these standards are a challenge for yacht builders, designers and engine manufacturers. The technology being used to reduce NOx emissions is called a Selective Catalytic Reduction (SCR) unit. It uses a diesel exhaust fluid called urea that that acts as a reductant – when it reacts with NOx it converts pollutants into natural elements such as nitrogen, water and minuscule amounts of CO2. The SCR units are big and heavy, taking up valuable engine room space and weight. There also needs to be a tank for the urea, a material that’s not widely available in the world’s ports. Pieter van der Linden, mechanical engineering department manager of Heesen Yachts, says it’s best to think of the new equipment as a necessity rather than a burden. “It’s part of a total yacht now, same as the engine,” he says. The bad news is there is no single solution for reducing NOx emissions in yachts. The current cure involves a number of parties – engine manufacturer, exhaust company, exhaust after-treatment firm – but most builders will want to deal with as few people as possible. The good news is this lack of uniformity paves the way for creativity, because after-treatment units can be made in different shapes and customised to a point. Volvo is adapting its decade of on-road SCR experience to the marine environment, with an added focus on fuel efficiency, which will in turn lead to smaller fuel tanks and overall weight savings. 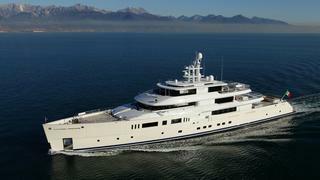 Elena comes in under the 500GT mark, but if she was built after 2021, at 46.7m she would have to comply. Although the IMO delayed the adoption of the amendments for yachts under 500GT and over 24m LOA by five years (now coming into force in 2021), there’s no way to avoid the IMO Tier III NOx regulations. What is Tier III of the IMO NOx regulations?